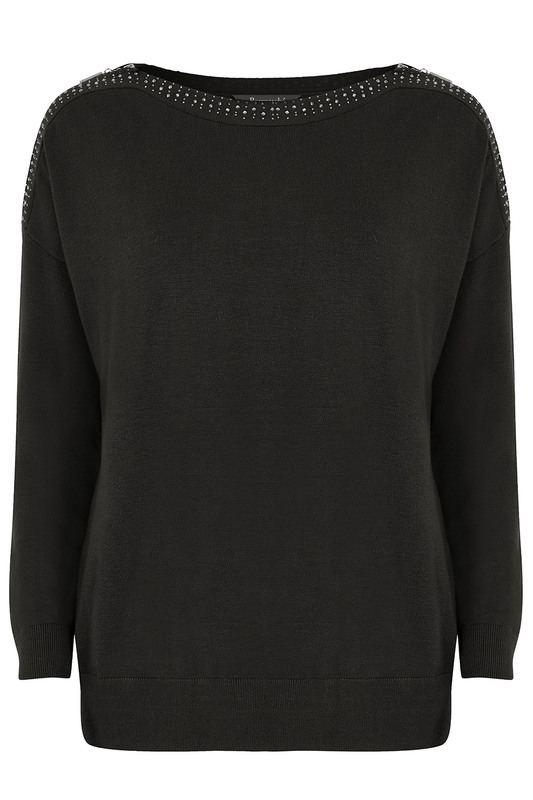 Add some subtle and sophisticated sparkle to your look with this zip shoulder jumper. It comes in four shades, with the grape and red designs web exclusive items. This casual-fit, boat neck piece is made glamorous and party-ready by the gem detail along the neckline and the modern zip design on the shoulders. 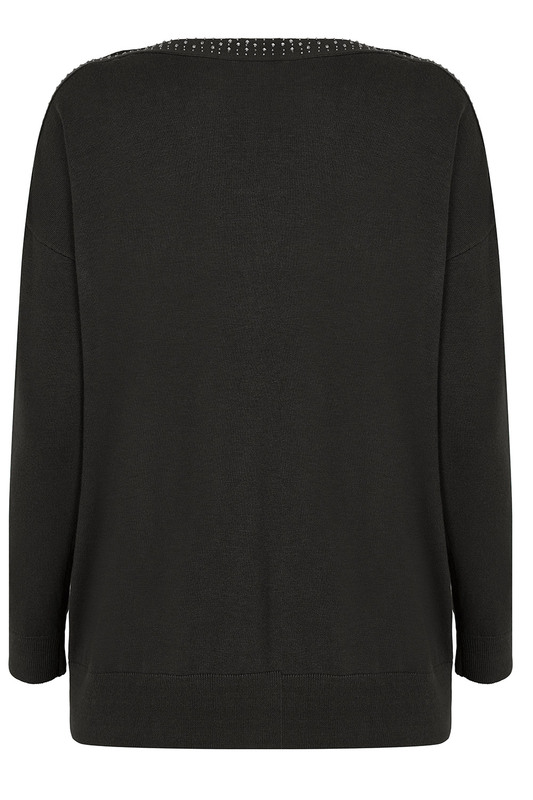 The lightweight fabric is fine knit and soft, making the jumper cosy too.